Obituary for Elsie A. 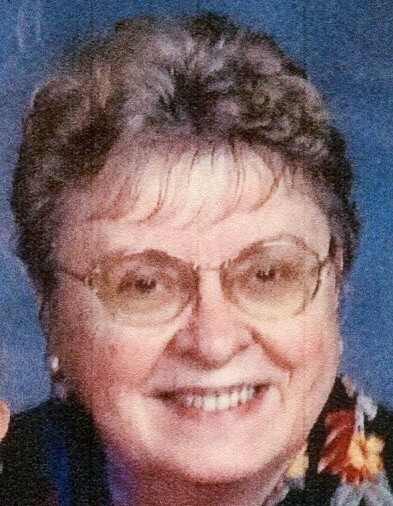 (Kolar) Livingston | Matthew X Merlin Funeral Home, Inc.
Elsie A. Livingston, 83, of Blairsville, PA passed away Saturday, February 2, 2019 at Excela Health Westmoreland Hospital in Greensburg. Elsie was born in Johnstown, Pennsylvania on January 26, 1936. She was the daughter of the late Anton and Stefania (Koren) Kolar. She was an alumna of Ferndale High School and Cambria Rowe Business College both in Johnstown. She worked in several offices in Johnstown before marrying and moving to Blairsville. She worked as a food service employee for 17 years in the Derry Area School District. In addition, she was member of St. Martin’s Rosary Altar Society and St. Joseph’s Rosary Makers. She enjoyed spending time with her family, reading books on her Kindle, and watching the Pittsburgh Penguins. Besides her parents she was preceded in death by her sisters, Mary Hammel and Christine Kopler. Elsie is survived by her husband, William “Bill” Doc” Livingston, of 52 years; two daughters Carol Livingston of Warren, PA and Cathy Dobrzynski and husband Pete of Erie, PA; one son, Bill Livingston and wife Wendy of Greensburg, PA; two grandchildren Jacob and Molly Dobrzynski and several nieces, nephews, and friends. Family will receive friends for Elise’s Life Celebration 2-7PM Wednesday February 6, 2019 at the Matthew X. Merlin Funeral Home 529 N. Chestnut St. Derry, PA 724-694-8331. The St. Martin’s Rosary Altar Society will recite the rosary in the funeral home Wednesday 1:30PM. A Mass of Christian Burial will take place at St. Martin Roman Catholic Church 10AM Thursday February 7, 2019 with Reverend Salvatore R. Lamendola as celebrant Interment will follow in the St. Martin Cemetery. Online condolences may be made to www.merlinfuneralhome.com. In lieu of flowers the family request memorial contribution be may in Elise name to the American Diabetes Association American Diabetes Association P.O. Box 15829 Arlington, VA 22215.